She’s lost her mother and her memory. And if she fails to escape – she’ll lose herself. Meiko Wright wants nothing to do with the mother who abandoned her nine years ago. Spending a year in Tokyo, where her mother lives, will not change that fact. But when she takes a nasty fall in a Shinto temple, she wakes with no memory of her mother or anything of her past life. Without any idea who she is, she must rely on the kindness of a local priest who offers to help her as best he can. When the amnesiac Meiko wakes with a strange suspicion that something isn’t right, she vows to escape from a bond she doesn’t truly understand. After years apart, Meiko’s mother Chieko is determined to make up for lost time. But when her daughter mysteriously disappears, Chieko promises she won’t lose her again. Along the trail of clues, the detectives working Meiko’s case discover a pair of suicides linked by a strange seductress and matching fox tattoos. Afraid her daughter may be next, Chieko visits a local shaman who tells her dark spirits could make her attempt for a rescue impossible. With time running out, Meiko and her family must uncover the mystery of her mental captivity before she loses herself and her only way home forever. 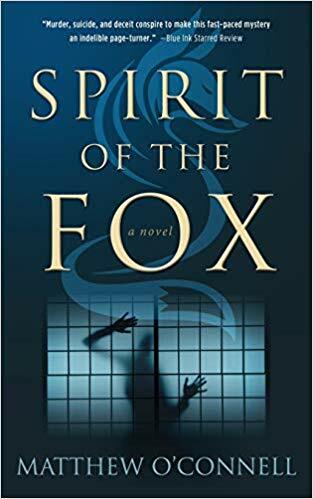 Spirit of the Fox is an amazing, thrilling novel from start to finish – I never knew quite what to expect next in this story. We have Meiko, one of our main characters in this story, who is the daughter of an anthropology professor who specializes in folklore and a psychologist. Her mother (the psychologist) left her at an early age to return to Japan after she divorced her father. Meiko was raised primarily by her father in America (or perhaps she raised him a bit) and she has turned into a responsible, organized, cultured young woman who wants to continue in her graduate studies but needs some time to reflect and figure out what that would look like. She travels to Japan with her father (who will be teaching there) and plans to use this time to reflect on her future, document her journey on her blog and perhaps re-build her relationship with her mother. This is when everything makes a turn in the novel. This is when we are introduced to some of the folklore of the Japanese culture which sends Meiko down a destructive path that we hope her family can rescue her from. The fox plays an interesting role in Japanese culture with both a good fox and an evil fox that plays on men and can be manipulative and destructive. The fox will possess a woman (who is very attractive and has a manipulative personality) and she will spell the ruin of any man. Throughout the novel, we are shown how many times this woman, at no fault of her own, will be ostracized from the community and sometimes forced to leave her home. Her history will follow her everywhere and she is doomed to a life of hatred from other women and never belonging. It is the symbol of the fox (controlled by one man) and Meiko’s family history that is the center of the story as we soon find out. Meiko is “captured” by a person using the history of the fox and branded with the fox tattoo. She takes on the persona of a controlling, manipulative woman who is out to financially ruin the men on her list. The death toll starts to rise and Meiko’s parents must work together despite their history in order to save their daughter and bring her back to them. This was an amazing book from start to finish, it was refreshingly different and exciting. I loved how he intertwined the culture and beliefs into the story for some additional learning. Meiko and her captor keep you on your toes, right when you think she may be coming back – he pulls her back into his evil plot. You almost feel lost at the end, that she may never come back but you keep praying that her parents and Grandmother can solve the case. This is a definite must read novel. I’m not exactly sure when I decided to become a novelist, but I have always loved fiction. I read it slowly, a plodder in fact as I delve into the dialogue, the descriptions, the scene and setting. While my tastes are pretty eclectic, I am definitely drawn to books that push the limits of reality. I recently sold the company, Select International, that I co-founded in 1993. We started the company in Guadalajara, Mexico where my wife Mari and I lived and worked for a little over two years with a wonderful group of employees. It was a phenomenal experience; we both learned not only to speak the language but also to embrace the Mexican culture and people. In the past twenty years I’ve written over a hundred white papers, journal articles, book chapters and even a book, Hiring Great People. But writing technical papers is far removed from writing fiction. There are more constraints — the need to back up your text with results or references and the format is usually clearly outlined, and frankly, somewhat rigid. Fiction, though, is truly a blank page, which is both liberating and terrifying. Almost ten years ago I got the idea for The Painter of Time, my debut novel. Then, of course, it was just a concept that needed a lot of fleshing out. It meant a lot of research on art history and art restoration, neither of which I had any formal training or experience. But I love doing research and learning new things so it was a natural fit. What I didn’t realize is how hard it is to actually write a good novel. There’s much more involved in the actual craft of writing that I ever expected. 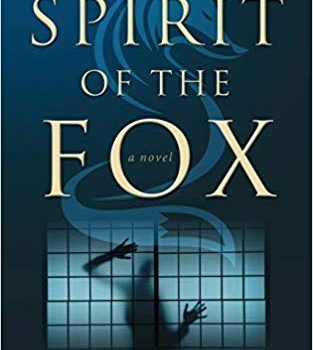 I recently finished my second novel, Spirit of the Fox, which takes place in Japan. It is now available on Amazon!